I knew as I approached the stand this was going to be a dangerous meeting. I had ‘eyed’ up the Wide Eyed Editions stand at last year’s Babyccino ShopUp event from across the room, and eventually gave in to temptation. I already had the Atlas of Adventures book and as soon as I looked through their catalogue I knew this would be the stand where I’d spend my Christmas presents budget. 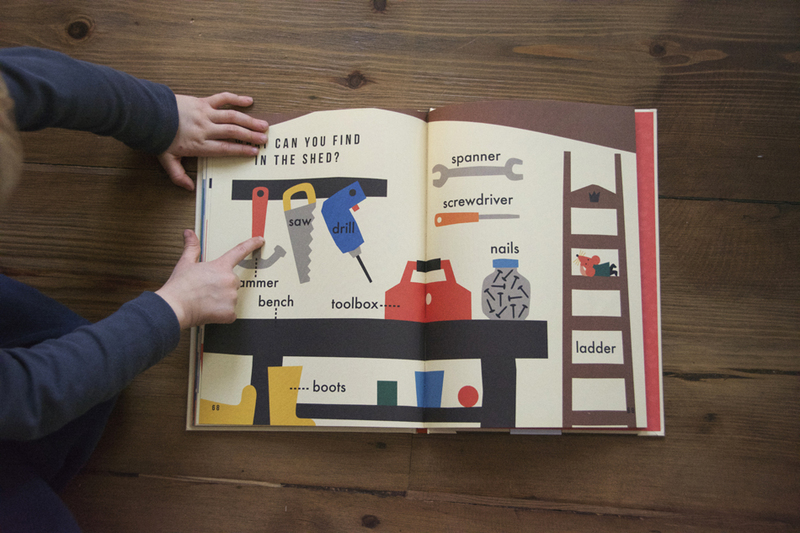 Otto (aged 3) found One Thousand Things by Anna Kövecses in his stocking. 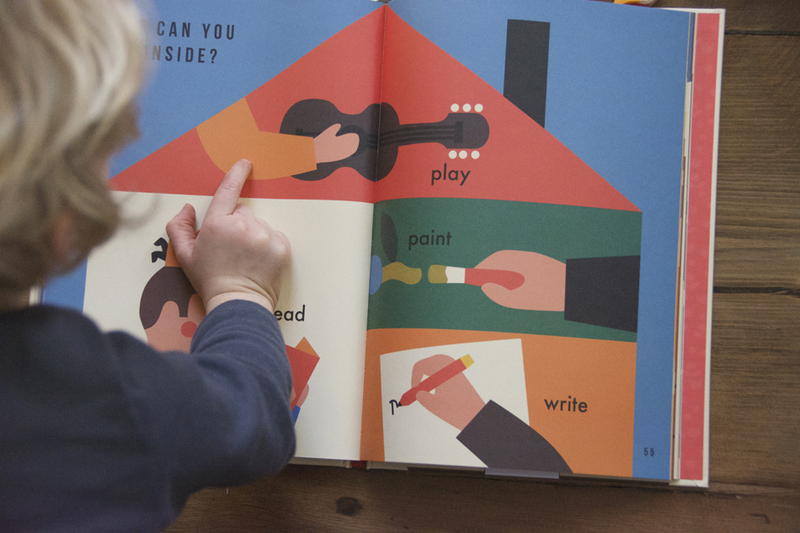 I love books that simply help encourage first words and conversation with young children. Here a little mouse takes us on a journey to learn 1000 words – split into 7 sections. The images look almost like cut-out images with flat and bold colours which are very beautiful. 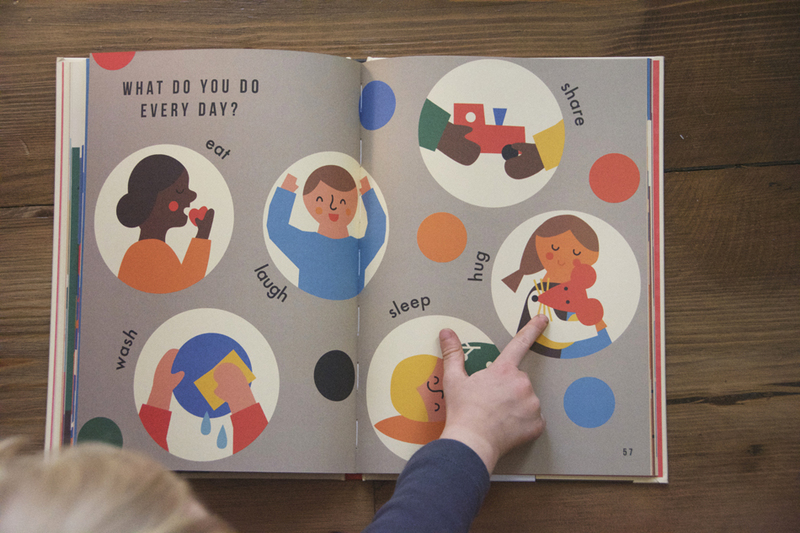 I have also found this book great for helping to teach my older daughter to read her first words and I have ordered this book a couple of times for new babies – I always like to buy a book for newborns and the simple graphics in this book make it a lovely book to look at with very young children. The book is available from Amazon (US and UK). I ordered that book last week and it is arriving today! 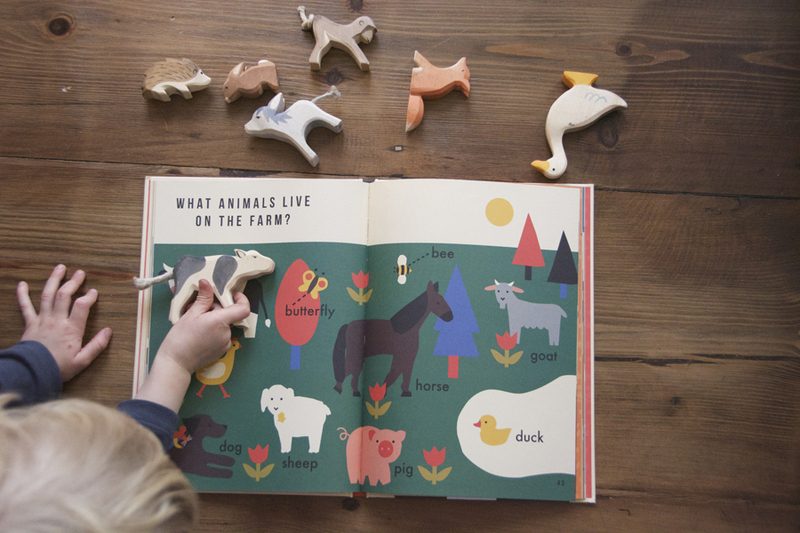 Can you please tell me what brand those wooden animals are? 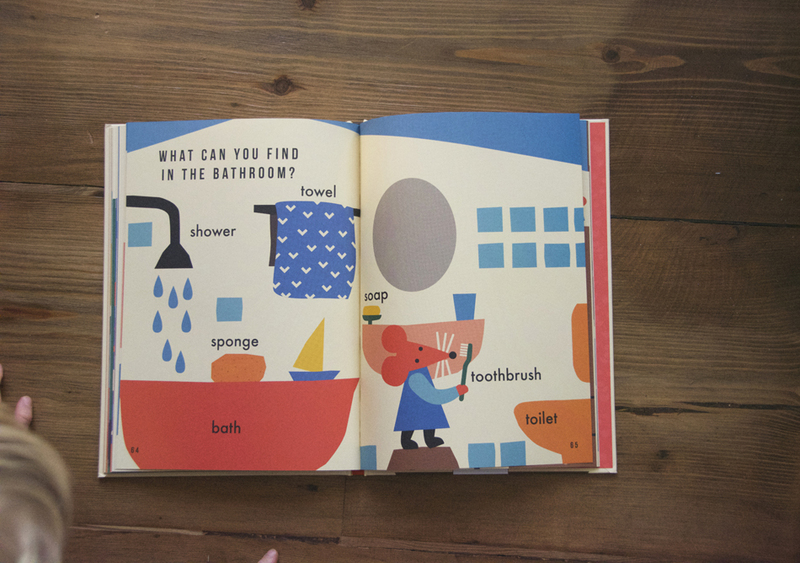 i love finding new, well illustrated children’s books! We will be adding this to our collection. We have this book and love it! I like your idea of giving one wooden animal a year – that’s fantastic! We have a few and they truly are of the highest quality.